Watermeal is a challenge to aquatic managers everywhere. It is often misidentified as algae or simply "just green pond scum." Watermeal can easily cover the entire pond, especially when little or no wind is present. Watermeal continues to germinate all season adding to its persistent nature. The good news is there is now a product that is delivering results greater than ever before. Bottom line is Water meal because of its minute size can hide in small wet pockets or on a moist bank side but when exposed to Clipper herbicide control can be achieved in as little as two weeks. Second treatments may be necessary for some of the above reasons but each pond is unique and many times a single application suffices. Size is about half the size of a grain of rice, sometimes no larger than poppy seed. Shape is slightly elliptical or round. Wolffia has no root structure. Place a finger or two into the water and withdraw it, your fingers will be coated with these small distinct green bb's. Rub your thumb and forefinger together, they will feel like miniature ball bearings. This green aquatic plant often resembles transparent green bubbles floating on the water's surface. Each plant is rootless oval shaped. Q. What are my best control options? There is no better alternative for Watermeal (Wolffia) control than Clipper herbicide. 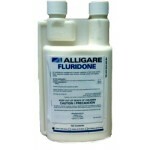 Sonar or Alligare Fluridone can be effective but if nuisance levels of Watermeal are present we recommend Clipper. Works great on Duckweed too. It is our opinion that some techniques work as a complement to aquatic herbicide treatments, such as aeration/fountain systems or bacterial treatments, but will not replace the need for a herbicide maintenance program. We know of no skimming technique or equipment that will successfully control Duckweed. Clipper, like nearly all aquatic herbicides, is not a pre-emergent product. 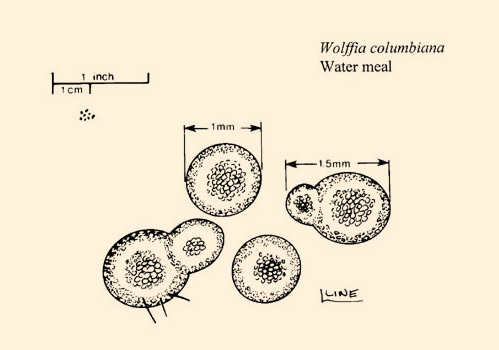 Treat only when there are visible signs of Wolffia. Generally, active growth stages respond best to treatment. As long as the plant appears viable/active results should be excellent. It is best to cover as much of the surface area as possible, using enough water mixed with the Clipper as needed to help facilitate even distribution. You don't have to be perfect but at least being pretty good will help shorten the time to a clean pond. 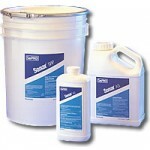 For small ponds Clipper, can be mixed with water and applied with a backpack or hand held sprayer. On larger ponds use a boat to help reach the middle. Do not walk into the pond during application. 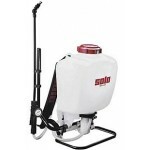 A Great Tip: Back pack sprayers cost more but they hold more product, get the job done faster, spray farther and are much easier to use than carrying a hand held sprayer. Once you use a backpack sprayer there is no going back – You can use it for all your yard weed control and fertilizer applications too. Always triple rinse spray tanks after each use! If you are an occasional user the hand held sprayer gets the job done too. Q. How often do I need to treat Watermeal (Wolffia)? Different existing conditions and extraneous events can influence the level and term of control. 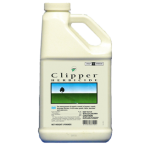 Clipper typically will work within two weeks, longer if treating mature late season plants. One to two applications represent the norm depending upon your geographical location.